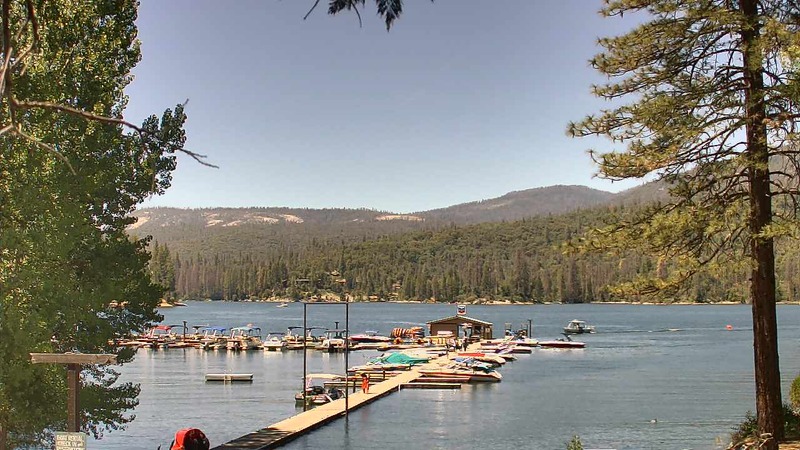 Bass Lake at Yosemite RV Resort is the perfect spot for vacation and fun on Bass Lake. Just a few miles down the road is Angel Falls. 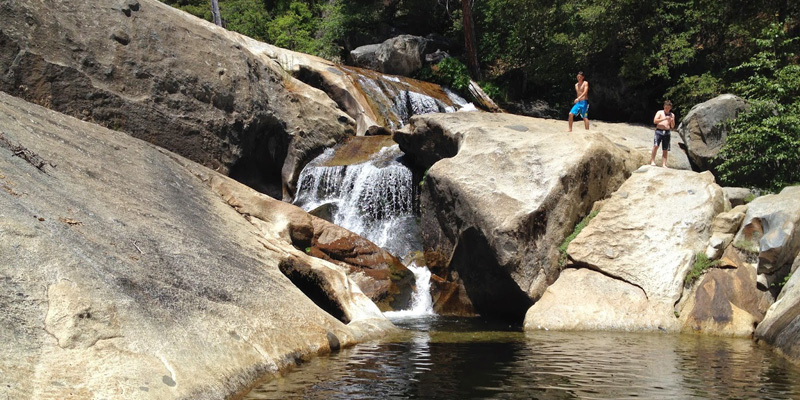 Hike a few hundred feet to the first falls. This paradise is easily accessible. Hike another mile and you’ll be at the next falls. The trail is a bit rocky in places, so be prepared and have fun. 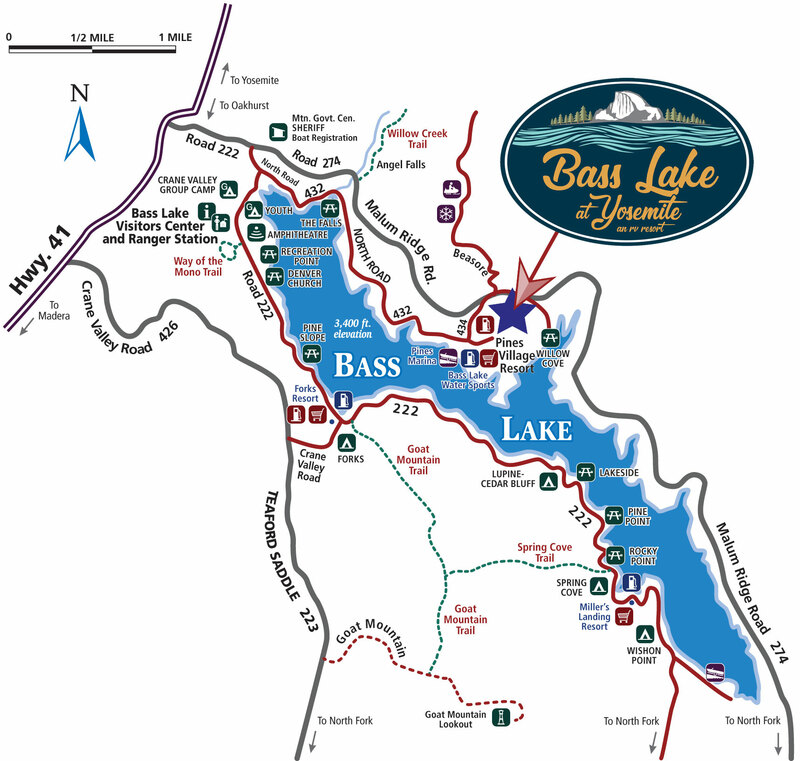 At Bass Lake Boat Rentals you can get any boat rental or vessel you desire. 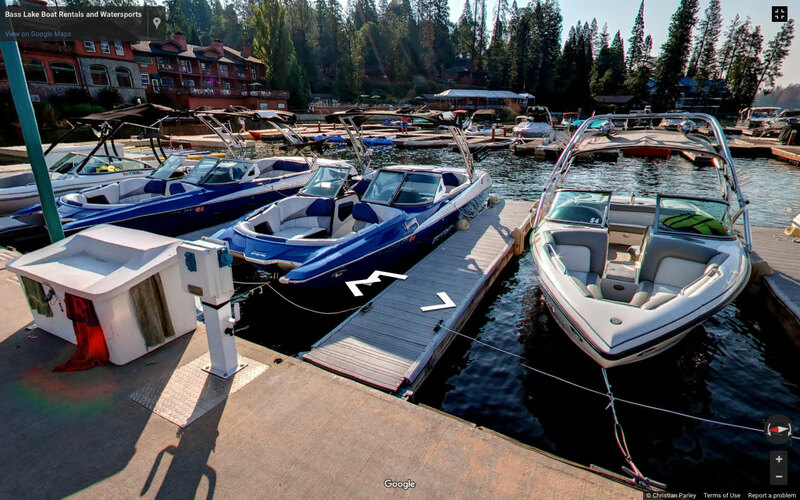 You are sure to find family fun at Bass Lake Boat Rentals. 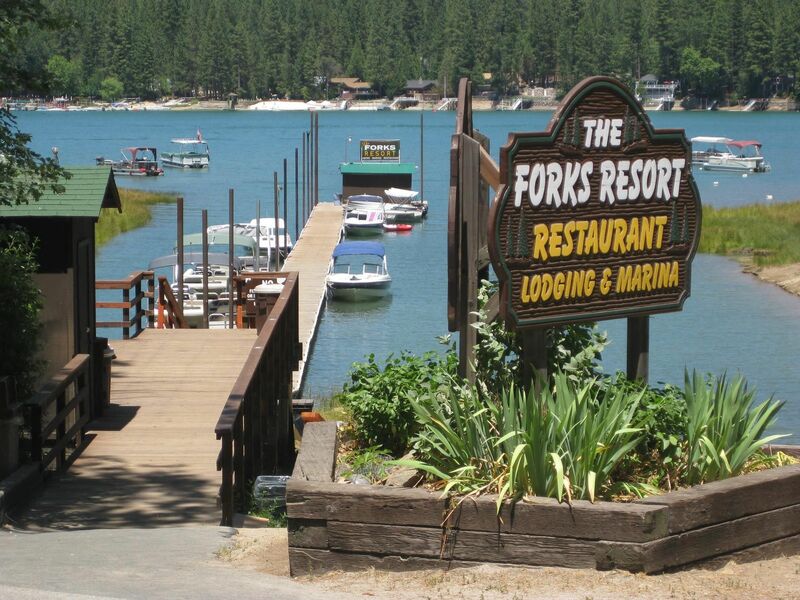 Walking distance from Bass Lake at Yosemite, an RV Resort. 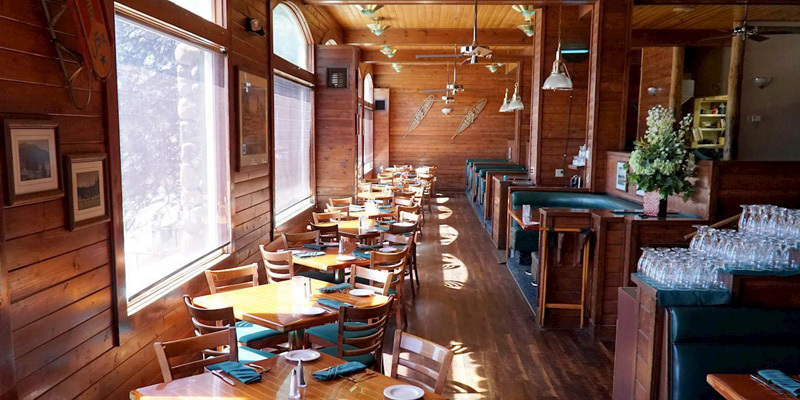 Ducey’s on the Lake is the Pines Resort’s signature restaurant. It is located downstairs and open daily for breakfast & dinner. It offers a great array of dining options and its seasonal menu will appeal to all tastes. A short walk from Bass Lake at Yosemite, an RV resort. 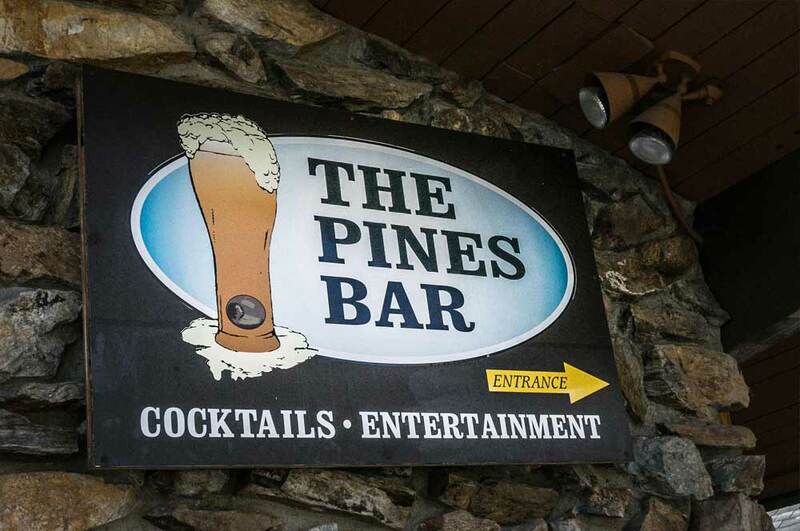 Pines Bar is located to the right from the Pines Market and it is a great place to wind down after a busy day at the lake, grab a beer, catch a game on one of four big tv’s or play pool. It offers live music (band or dj) several times a week as well as karaoke. At Miller’s Landing there’s a casual restaurant with an ice cream fountain, and a general store selling groceries and fishing gear. Other amenities include a coin-operated laundry, fire pits, and a marina with boat, paddleboard and canoe rentals.